"To recapture a taste of Brazil in this country takes some effort, but it's worth it… You can help yourself to a copy of Leros magazine, a monthly guide to the Brazilian scene in London offering information on nightclubs, language schools, computer courses and even where you can buy the latest fashion in Brazilian lingerie and swimwear… Leros also has the latest travel bargains to get back home in a hurry and its advertisements include lessons in the lambada and samba and cooking for Brazilian dinner parties, and even offers some solace for lonely hearts"
"Leros Magazine is a success story"
"Leros Magazine is a must for Brazilians and lovers of all things Brazilian"
The first Brazilian publication distributed FREE in the United Kingdom. 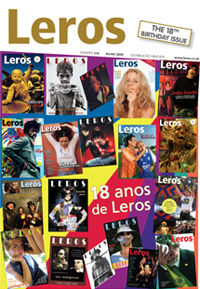 Founded in 1991, Leros is published monthly and for the last 21 years it has been leader in its market: 91% of the companies which were introduced to the Brazilian market through Leros have become regular advertisers and Leros is, by far, the first choice of Brazilians in England. Essential information about London life, cultural delights, nightclubs, festivals, travel, the arts, news from Brazil, profiles of pop stars, actors, musicians, writers and other celebrities, useful addresses and a round-up of the stuff visitors and residents would not want to miss in London. 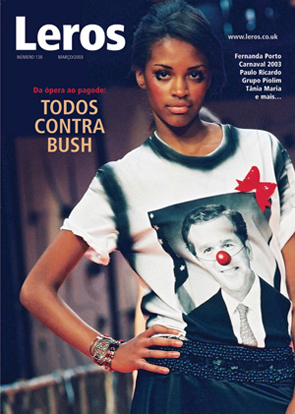 Our passionate commitment to quality journalism, combined with our sharp sense of humour, has made Leros the most popular Brazilian publication printed in the United Kingdom. LEROS is distributed free in order to ensure advertisers get their message across. 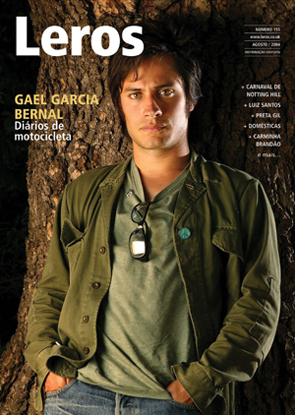 The magazine is available at cafés, restaurants, delicatessens, nightclubs, travel agencies, schools, Banco do Brasil, Brazilian Embassy, Brazilian Consulate, cinemas, theatres, shows, festivals, etc. As well as four vans to cover London, we also hire one driver to distribute the magazines in Epsom, Brighton, Bristol, Bournemouth, Swindon, Reading, Newbury, Leicester, Manchester, etc.